The legal team at Nichols and Churchill was pleased to support Maine Cancer Foundation’s fundraising efforts via the 11th annual Tri for a Cure triathlon race in South Portland. PORTLAND, MAINE (PRWEB) AUGUST 30, 2018 – Portland law firm Nichols and Churchill proudly recognizes Joanne Deering, the firm’s Legal Assistant, for her outstanding efforts in Maine Cancer Foundation’s Tri for a Cure triathlon held July 22nd in South Portland, Maine. Joanne completed her very first triathlon that Sunday, racing with 1,300 other women, many of whom were cancer survivors themselves, in efforts to raise awareness and money for cancer research and cancer patients in Maine. According to the MCF, the event raised $2 million making it the largest single-day fundraising event in the state. Almost everyone knows someone who has been affected by cancer. But Tri for a Cure is not about statistics; It’s a unique opportunity to support cancer patients in Maine through a shared sense of courage and strength. Joanne says all of the outpouring of positivity and incredible inspiration was what brought her to tears at last year’s triathlon, when she volunteered in the transition area. “To watch all of those women, from teenagers to those in their seventies, of all shapes and sizes, doing this race for such an amazing cause was truly awe-inspiring,” says Joanne. After that, she was determined to train and participate as a triathlete in this year’s race. The Triathlon is physically demanding and requires serious training and mental preparation. Joanne partnered with a friend to train for the swim leg and practiced at Crystal Lake in Gray. She has a fear of submerging in water and had to overcome that fear in order to complete the Tri. You never know how strong you are until strength Is the only choice. -Maine Cancer Foundation. Joanne received constant encouragement from friends and family. At work, she regularly received words of encouragement from attorneys Nichols and Churchill, and was pleasantly surprised when some of the firm’s clients offered donations upon overhearing the office pep talks. The event inspires Mainers from all ages and walks of life to come show their support. Tri for a Cure is the largest triathlon in the state. This year, high winds and downpours of heavy rain during the event did not deter spectators. “They’re all-weather fans when it comes to the Tri,” says Joanne. She and the other triathletes pushed through the weather without incident. Joanne had 25 custom T-shirts made in bright purple with white lettering for her friends and family to wear so she could easily spot them cheering her on while grinding through the swim, bike and run legs of the 18.3-mile triathlon. On the front the T-shirts read: Jo Will Tri and on the back: Jo Did Tri. Maine Cancer Foundation’s mission is to reduce the impact of cancer upon those living in the state. According to the website, Tri for a Cure is a celebration of hope, determination, and courage as women raise millions of dollars to fight cancer in Maine while supporting each other and amazing themselves. “The Tri represents the wonderful work Maine Cancer Foundation is doing for an important cause, and we welcomed the opportunity Joanne gave us to support that work through our donation,” said defense attorney Matthew Nichols. 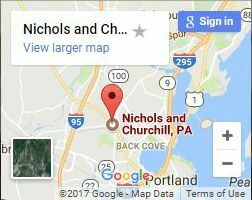 About the Legal Team at Nichols & Churchill, P.A. 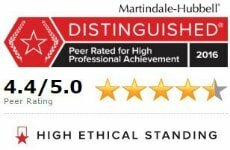 The legal team at Nichols & Churchill law firm is uniquely qualified to handle a wide range of civil and criminal matters for residents in Maine, with the highest level of dedication and a proven track record of successes. Their combined experience totals over 40 years in criminal defense, civil law and procedural law. JOANNE DEERING is the Legal Assistant and backbone of the law firm. She began her legal career in the criminal division of the Cumberland County Courthouse in 1990. In 2000, Joanne brought her knowledge of procedural law and her court system experience to Nichols & Churchill. Today, attorneys Nichols and Churchill depend on her to ensure every case is on track. Joanne is a true Mainer who lives in Buxton with her family. She loves the work she does at the law firm and understands the importance of helping people when they need it most. 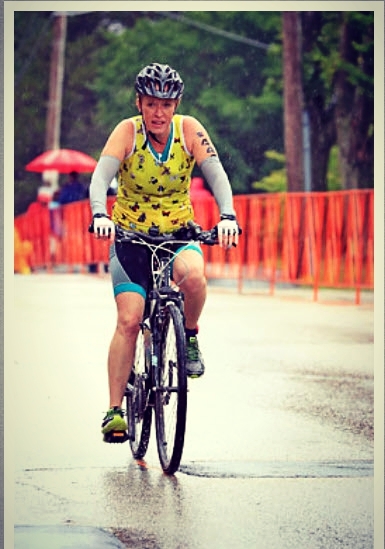 Joanne fundraised for Maine’s Tri for a Cure as a triathlete this year. She is already looking forward to racing in next year’s Tri. ATTY MATTHEW NICHOLS is widely regarded as one of Maine’s best attorneys in the field of OUI defense. Mr. Nichols speaks to lawyers at numerous seminars on the topics of criminal defense and defense of drunk and drugged driving cases. Described by his peers as a “zealous and fearless advocate,” attorney Nichols represents those who are charged with serious crimes in the state of Maine. ATTY SARAH CHURCHILL is a highly qualified civil litigator and an experienced criminal defense lawyer. The results she has obtained for former clients to date speaks volumes about her level of skill as a trial attorney. Attorney Sarah Churchill handles personal injury cases, civil rights matters and criminal cases for the law firm. The team at Nichols & Churchill stands together to serve their communities and protect individual rights to due process and the fair application of standards of law. We serve communities in Cumberland, Sagadahoc, Kennebec, York, Lincoln, Androscoggin, Oxford, Franklin and Knox counties. For in-depth information on our services and practice areas, visit us here https://www.nicholschurchill.com/practice-areas/. Original article is posted on PRWeb.